Access to the dome of vehicles is always a risk factor. The surface of the dome is unstable and depending on the contents of the tank or container, it can be slippery. It only takes one wrong move to cause a fall that can, in the worst case, be fatal. 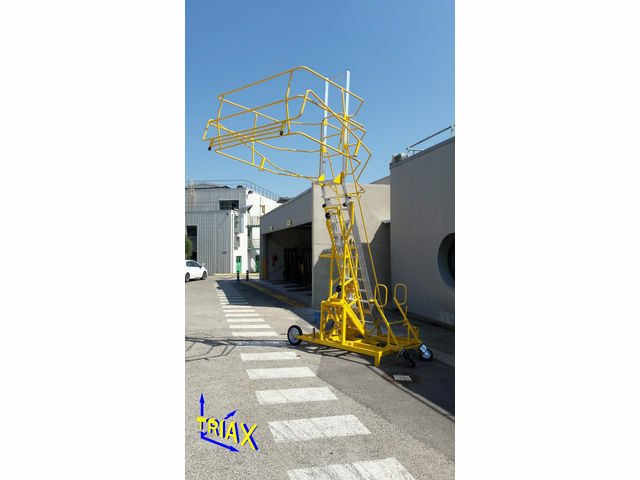 The TRIAX safety mobile ladder protects the operator during its accession and its evolution on the dome thanks to its corbelling. Depending on the situation and available space, frontal access to the vehicle is not always possible. This is why TRIAX has developed its new safety mobile ladder with lateral access. Thanks to an ingenious winch system, the ladder can tilt back to back off from the tank without the operator having to move it. In this way, the operator can move the ladder parallel to the vehicle in a restricted area. Access to the corbelling is possible via an aluminum ladder with bars. 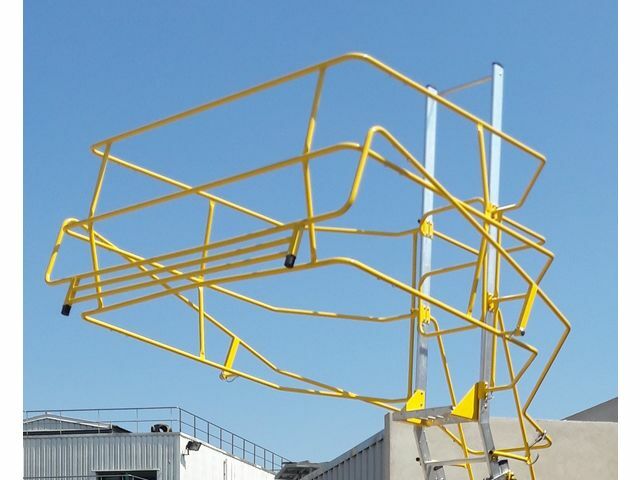 This ladder is adjustable in height by using a winch. 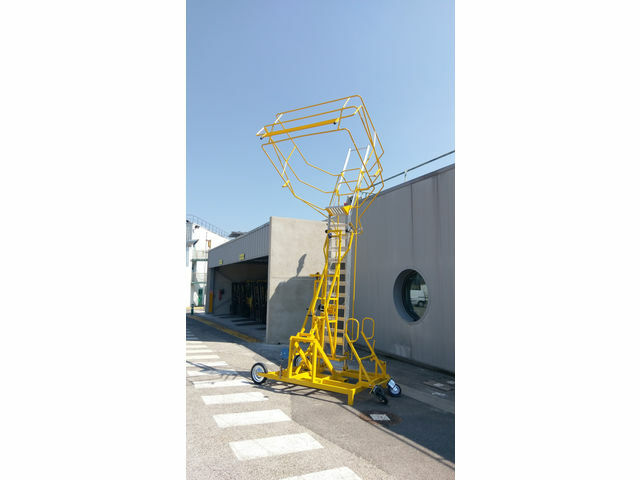 The height of the mobile ladder with lateral access is adjustable from 2650 mm to 4400 mm. Access is facilitated by two ramps. 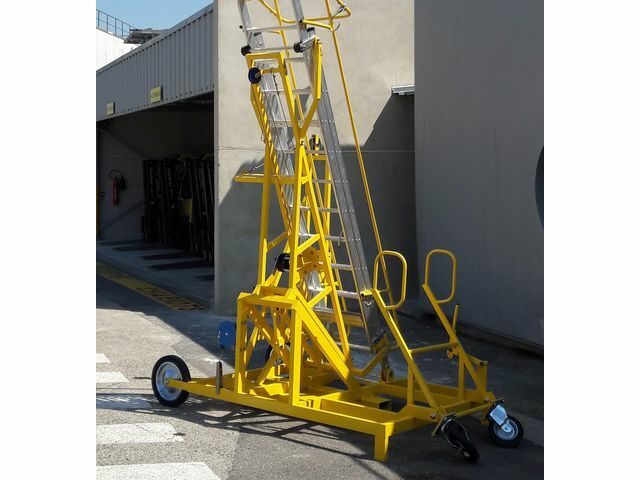 This new safety mobile ladder with lateral access combines an easy access even in difficult environments, and total security of the operator during his interventions: a practical and innovative concept.